Drawing Goku is a skill to show off to your friends and family. Learning to draw one Dragonball Z character can help you learn how to draw many other Dragonball Z characters. All of the characters have the same basic face shape: small faces, big foreheads, and triangle shaped eyes. You can leave Goku in black and white by just using a gray drawing pencil, or you can finish off the drawing with some colored pencils. 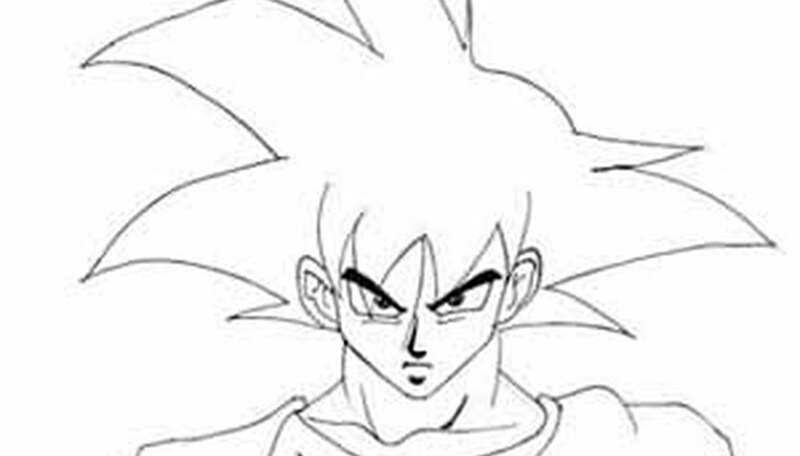 Goku has black, shiny hair, black eyes and eyebrows, a red vest and a blue shirt. You will need a good, quality drawing paper pad to draw on lightly and erase the lines you don't need afterward. Good drawing paper won't thin out or tear due to erasing. You might also want to invest in a good quality eraser. Begin by drawing Goku's head outline. 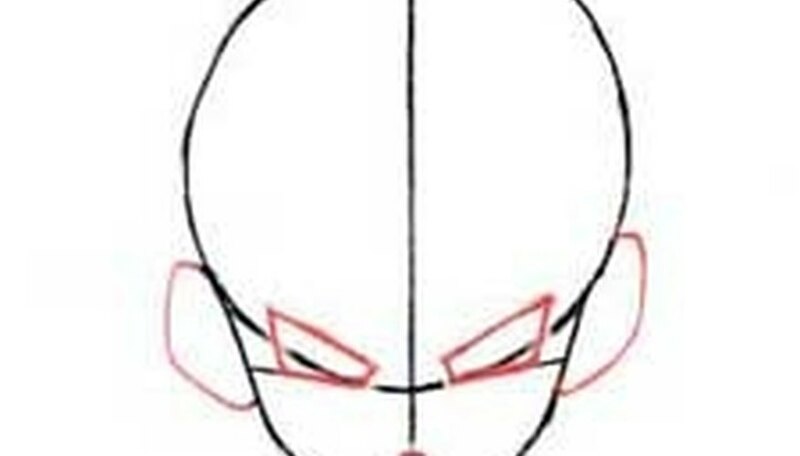 Lightly draw the large oval shape for the top of Goku's head. 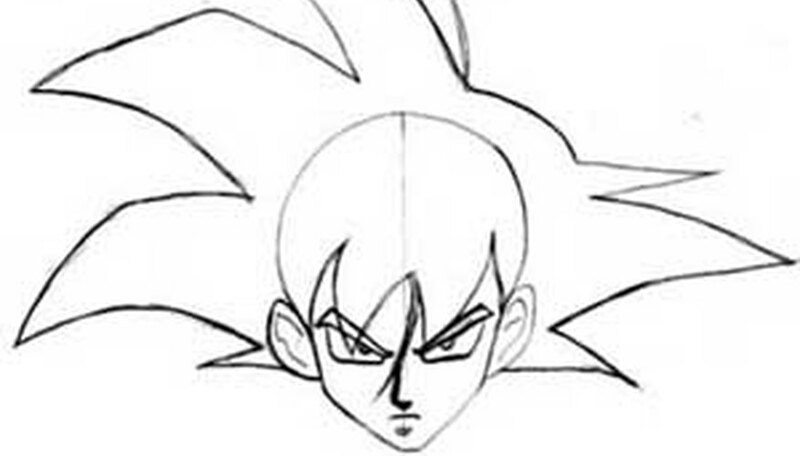 Draw the outline of the lower part of Goku's face, which is down on each side and then into a point at his chin. Mark where Goku's eyes, nose and mouth will be as a guideline. Draw a line down the middle of Goku's face. Goku has ears where his forehead and face meet. 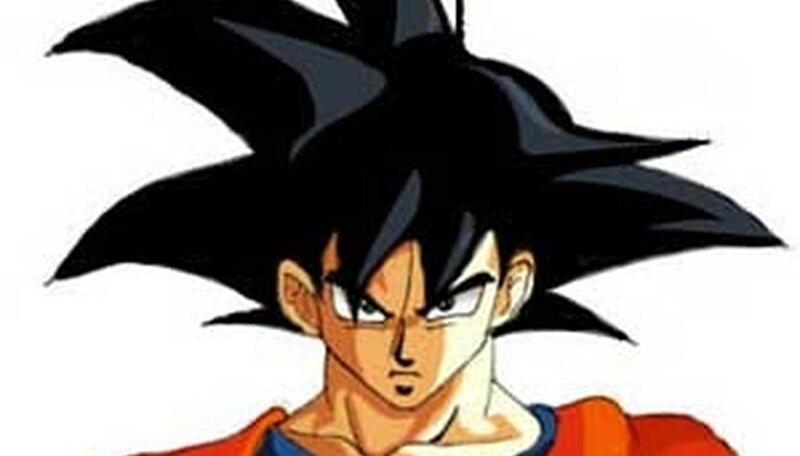 Goku has trapezoid shaped eyes that are smaller towards the middle of his face. Erase other lines you don't need anymore. Goku's hair is probably the most noticeable part of him and the most fun to draw. His hair is big and spiky. Draw three big spikes on the left side of Goku's head and three smaller ones on the right side. There is also a stray hair at the top. His bangs come down in two spikes with one stray hair down towards his nose. Erase the line down the middle of his face. Add his pupils, corneas and eyebrows. His eyebrows are right on top of his eyes, there is no space between them. Goku's mouth is a simple line that points slightly downwards on both ends. The nose is a curved L. Mark a shade for Goku's chin. Check your drawing and erase any lines you don't need anymore. Draw in Goku's neck, shirt and vest. He needs more detail on his ears so they look a little more realistic. You can shade in his eyebrows, because they are black. Use colored pencils to color in Goku and shade to make him look more three dimensional.